Plan (limited): With a Basic, Premium or Small Business plan you can only track the download dates of your links. When you share your content through links, anyone who has access to the link can also view and download your content. 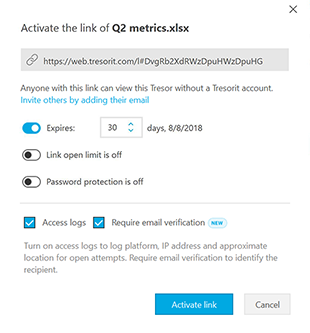 In addition to the default link settings, Tresorit Solo and large Business users are able to track individual opens, providing an extra layer of security to shared content. Keep track of content downloads and revoke your link if necessary. Through access logs, you can track useful information such as the date, IP address, and platforms used to download the content you shared. 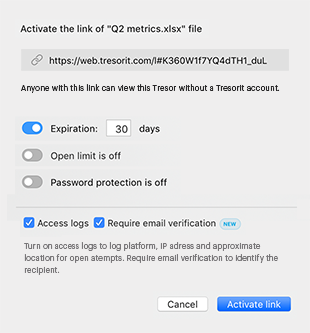 Additionally, when a user is signed in to Tresorit in their browser, you can also see their email address. You can also require an email verification on Links from those who wish to download your content. These email addresses will be listed in your access logs as well. 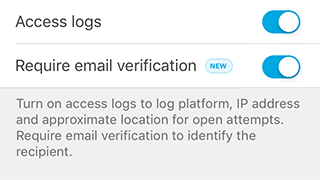 As of now, you can only enable access logs when you share content – it’s not possible to start the tracking on links that were already activated. Click Share on the right panel. Check the box left of Access logs. Check the box left of Require email verification. Select the folder or file you want to share. 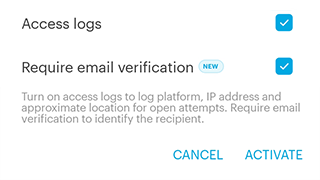 Tap the switch right of Access logs. Tap the switch right of Require email verification. Check the box right of Access logs. 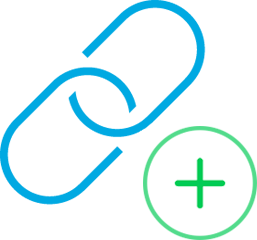 Hover over the content you want to share. Click Share on the right. 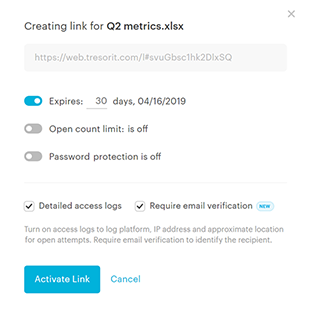 Once you enable access logs, you will be able to track all downloads on your Links tab, where you can oversee all shared links and additional information like their expiry date and the download count. 🏆 Pro tip: If you need to, you can change link settings like open count, download limit and password at any time. Just select the link and click Link settings on the right panel. However, you can’t add tracking to already activated links. Select a link and click Access logs on the right panel to view the download history. In addition to link opens, you can also see failed password attempts. 🏆 Pro tip: Double-check if you shared the correct password with others. If someone enters an incorrect password too many times, your link will be de-activated.